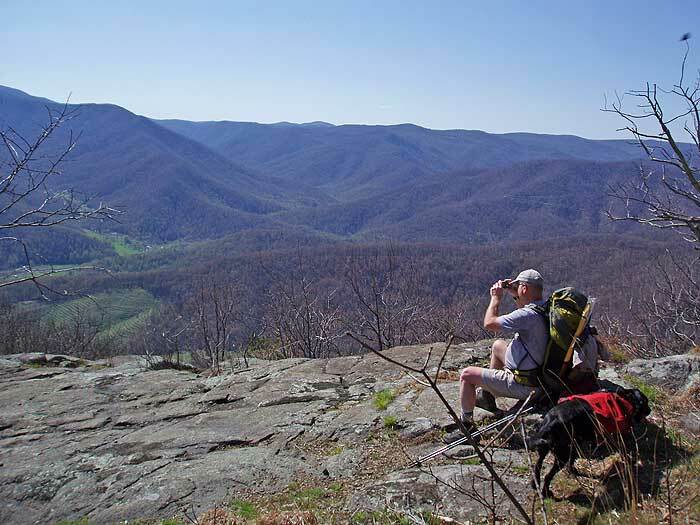 Three Ridges is one of Virginia's most popular backpacking circuits. 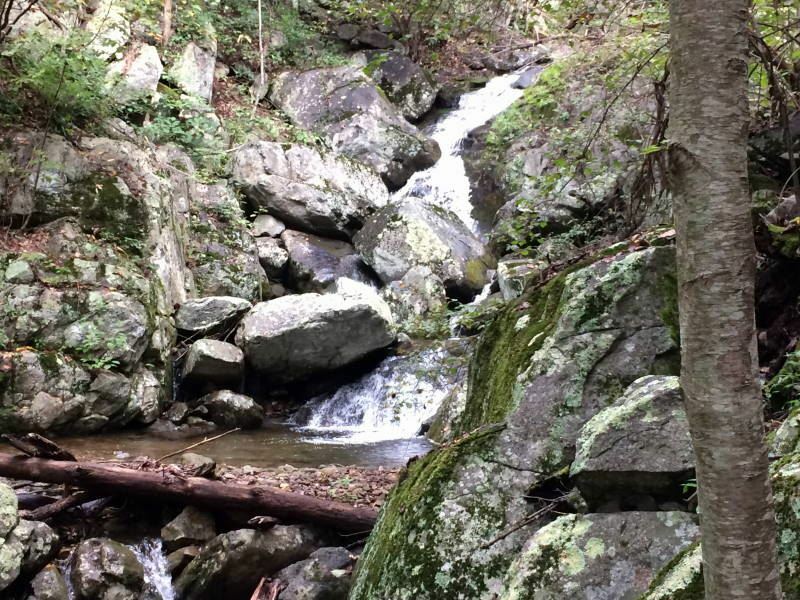 Situated in Central Virginia, just 30 miles southwest of Charlottesville, the hike has vista after vista along the Appalachian Trail, and many small waterfalls and pools on the Mau-Har Trail on Campbell Creek. 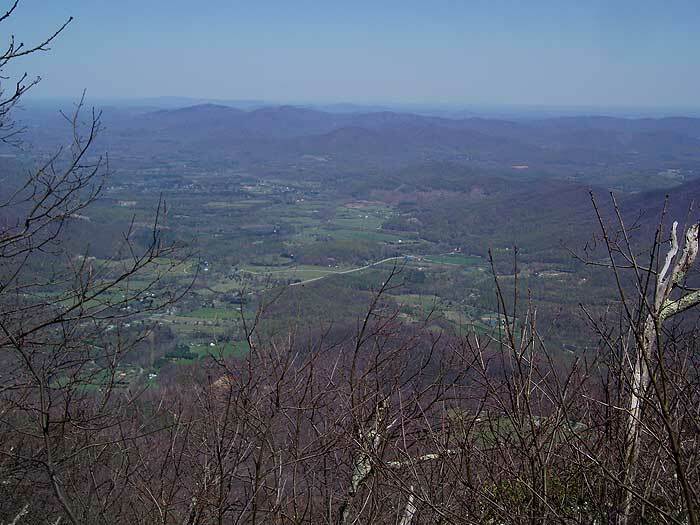 From the parking area at Reeds Gap, head south along the white blazed Appalachian Trail (AT) as it initially hugs the left side of a clearing. 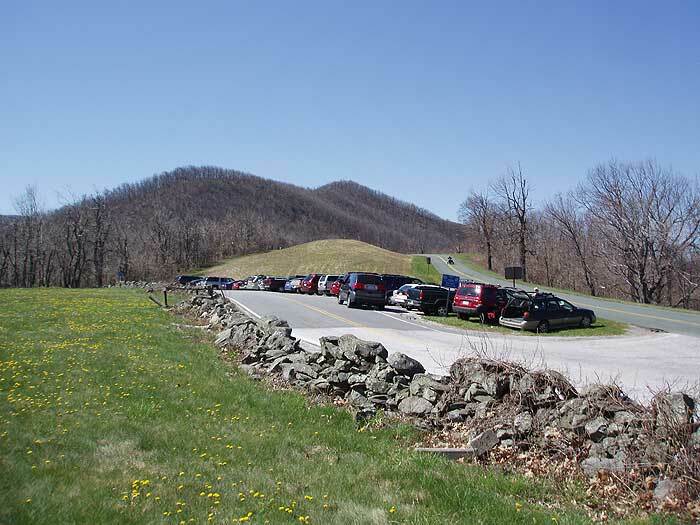 At the end of the clearing start climbing Meadow Mountain, and in 0.8 miles arrive at the top of the ridge and campsite/overlook. 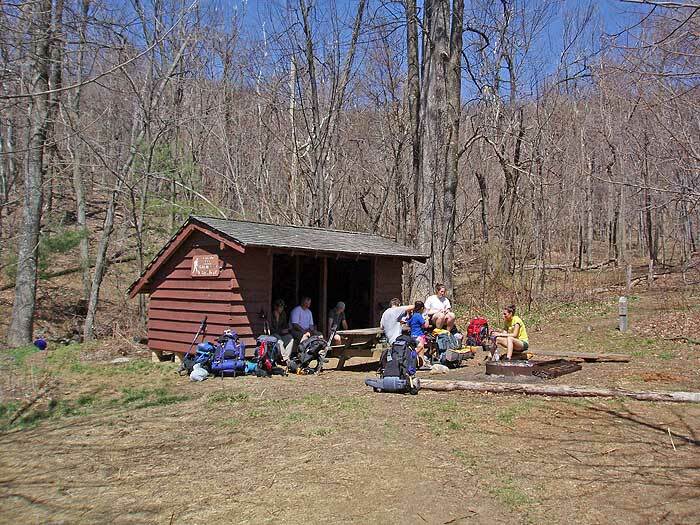 Continue along the AT as it now heads downhill, and in 0.8 miles arrives at the Maupin Field Shelter, and intersection with the Mau-Har Trail that will be your return route. The shelter is not visible from this intersection, and is 100 yards downhill. 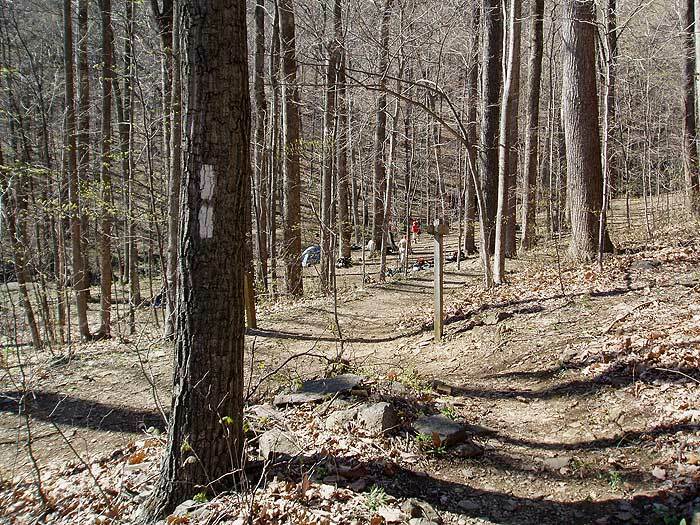 Several small trails intertwine this large camping area. At the intersection remain left, staying on the AT as it passes a small clearing. 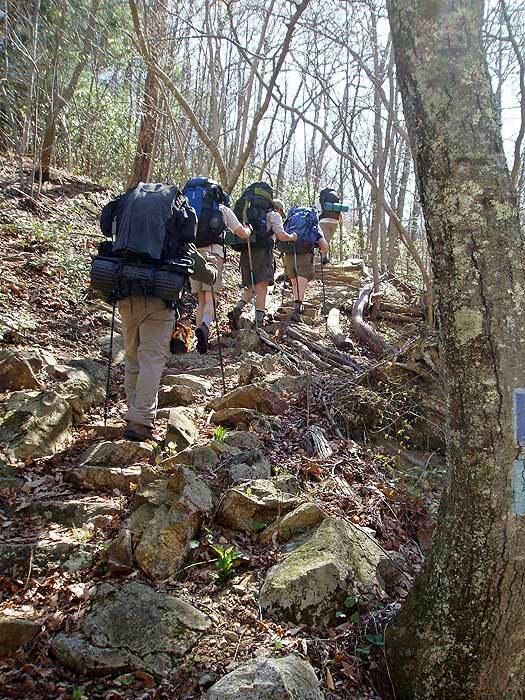 The AT will now climb and pass over Bee Mountain in 0.5 miles. 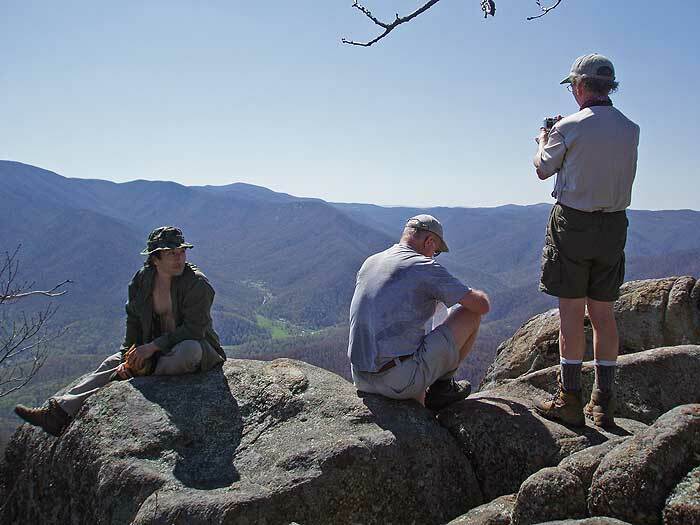 Descend Bee Mountain, then climb the northern knoll of Three Ridges and arrive at the best vista of the hike. 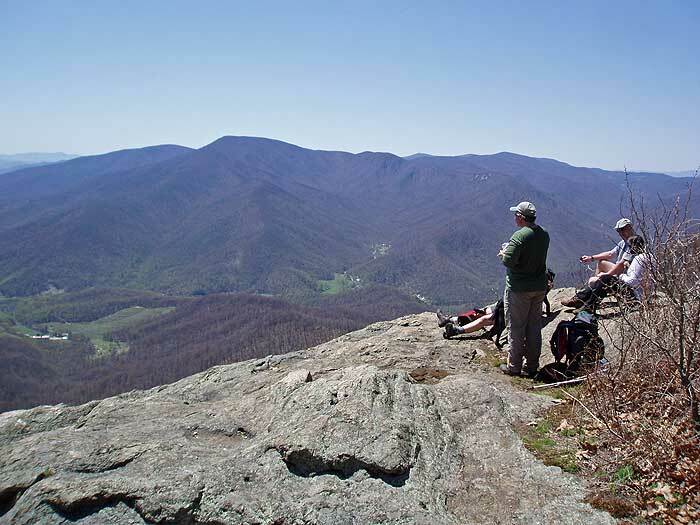 Continue up the AT as the trail traverses the ridge before reaching the top of the second knoll in 0.8 miles, and view to the northeast. 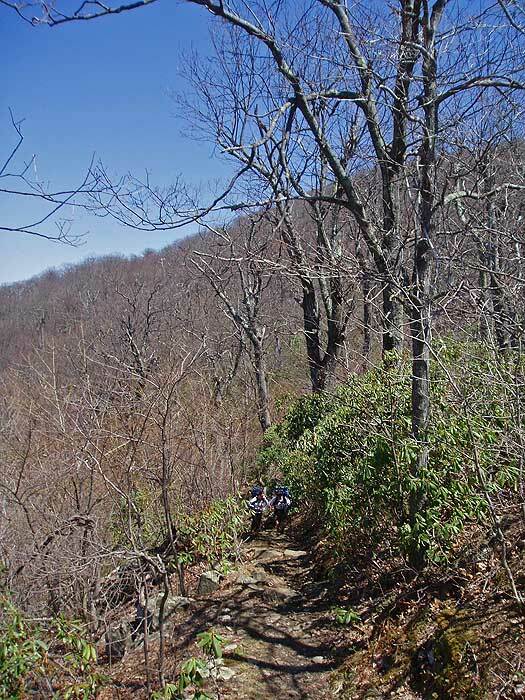 Look for an unblazed side trail on the left marking the overlook and campsite. 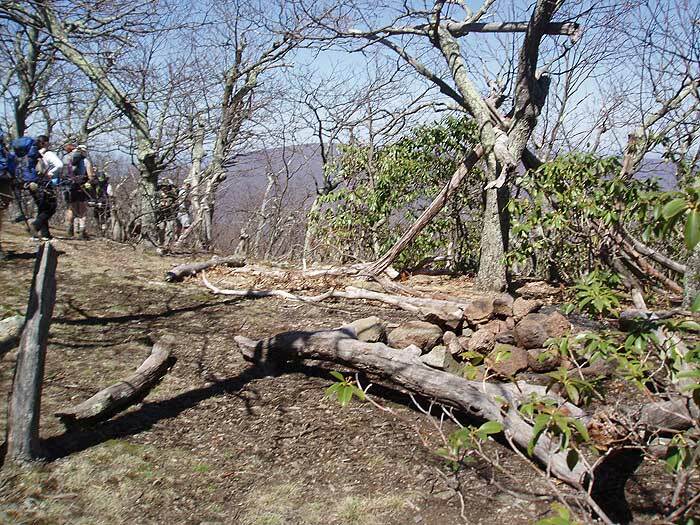 The AT now heads downhill from the hike highpoint, and in 0.1 miles stay right a the trail marker. Descend another 0.2 miles before making a switchback to the left. At the switchback there is another overlook. 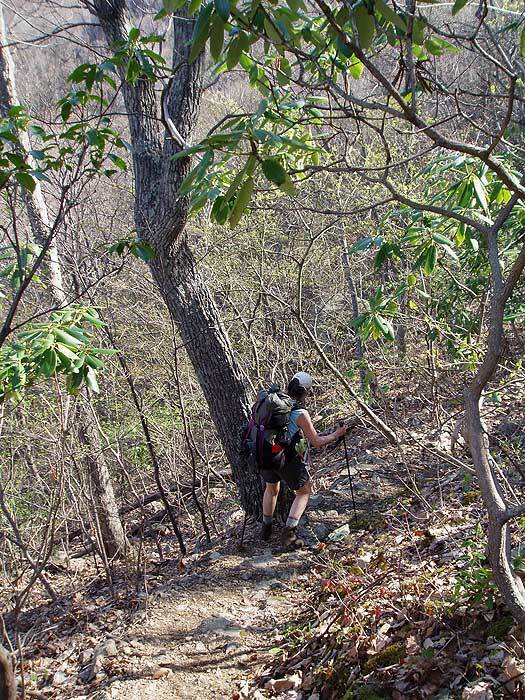 After making the switchback the AT will descend steeply for 0.8 miles, then pass around the left/north side of Chimney Rock. 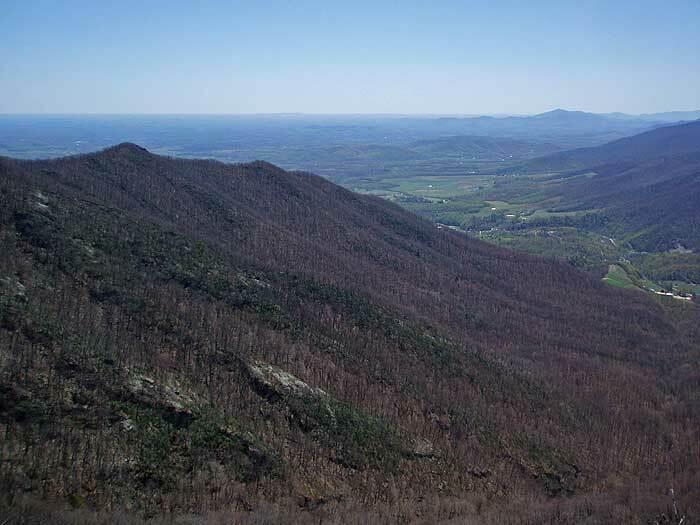 A faint unblazed trail ascends steeply for 25 yards, then passes around the left side of the summit to the Chimney Rock overlook. 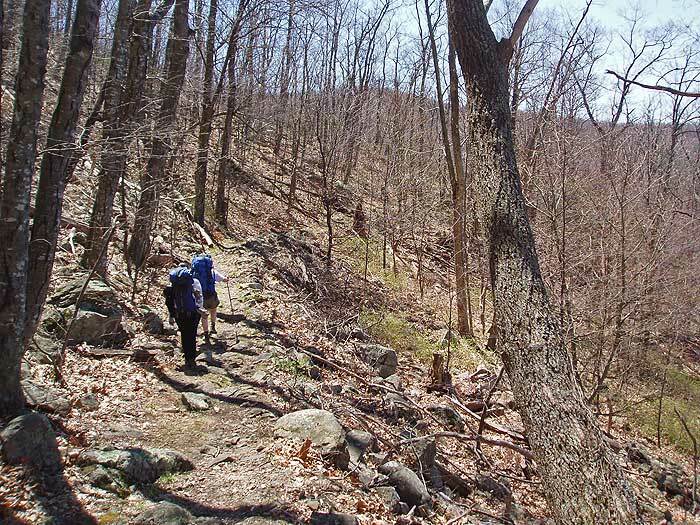 Continue downhill on the AT for another 1.8 miles as the trail descends to the right/south of Three Ridges, then arrives at the main camping area and Harpers Creek Shelter. 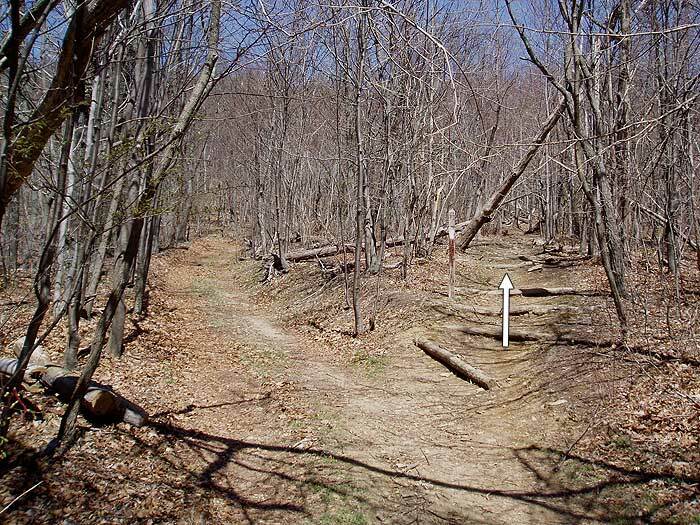 Turn left downhill on the AT (opposite side of the creek from the shelter). 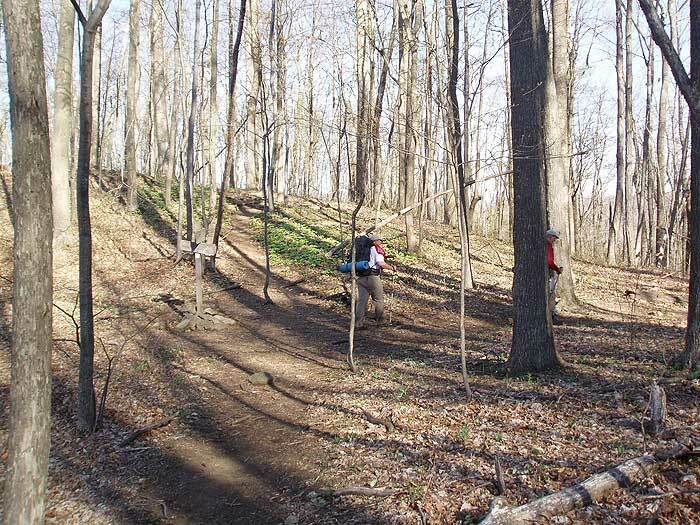 In 0.1 miles the AT will turn right crossing Harpers Creek before heading uphill, and reaching the intersection of the blue blazed Mau-Har Trail in 0.7 miles at a small pass on the ridge. Turn right on the blue blazed Mau-Har Trail, descend, switchback up the next ridge, then descend again and reach Campbell Creek and large camping area in 1.5 miles. 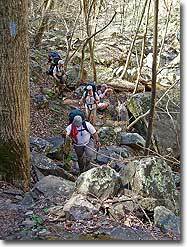 There is a yellow blazed spur trail that leads downstream to a small pool and waterfall in 200 yards. 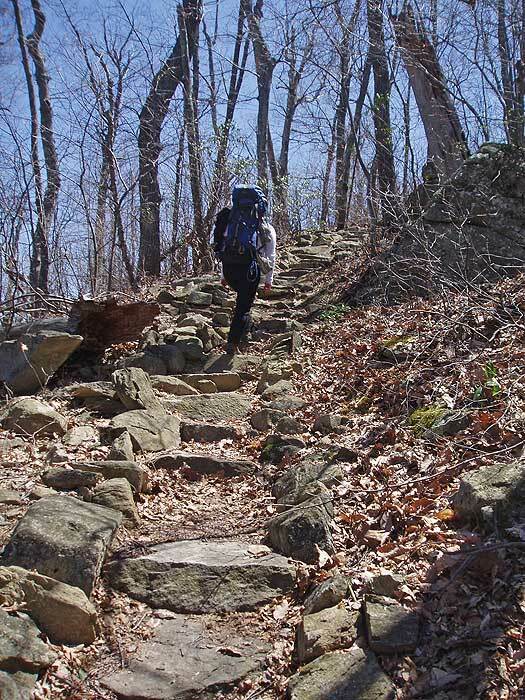 Continue upstream on the blue blazed Mau-Har Trail as it becomes steeper, crossing Campbell Creek, and making several switchbacks before arriving at Maupin Field Shelter in another 1.9 miles. 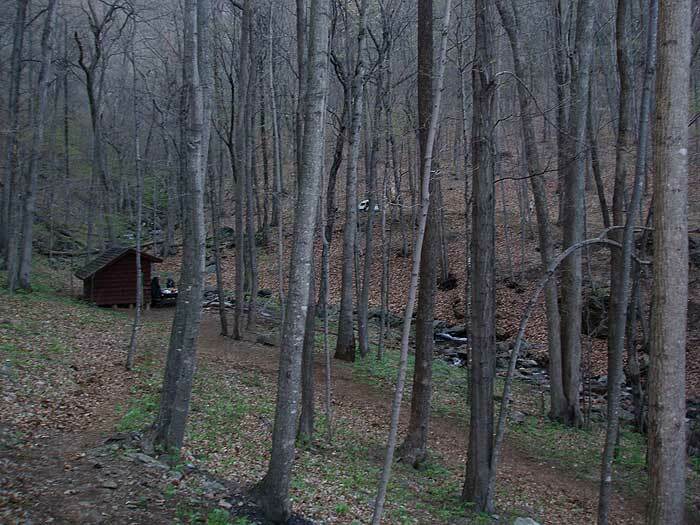 There are several trails at the shelter leading to different campsites. 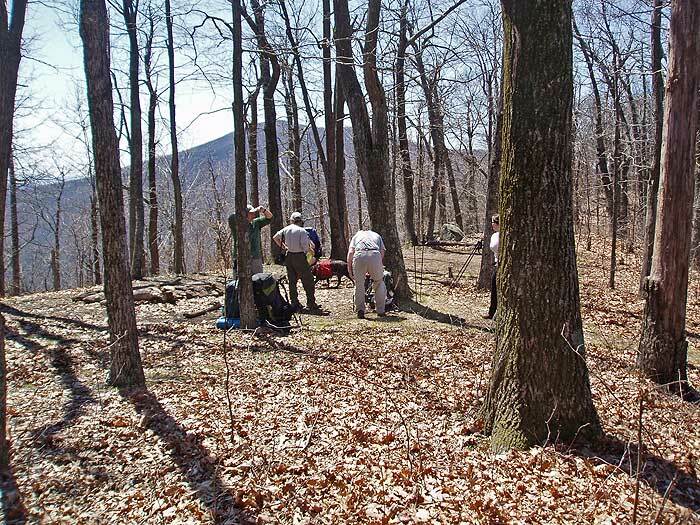 Continue straight past the shelter for 150 yards and reach the intersection of the AT you descended earlier. 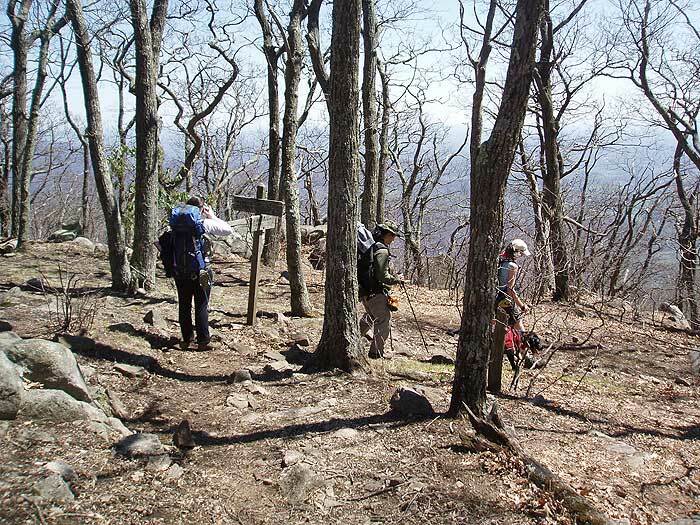 Turn left on the AT, then in 20 yards stay right remaining on the white blazed AT. 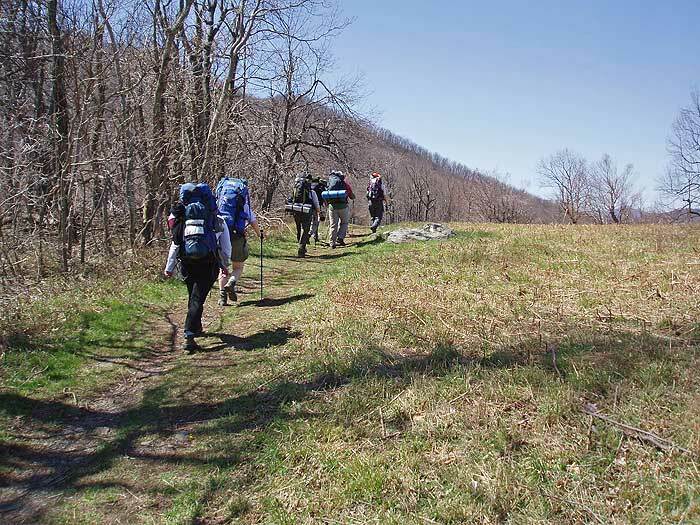 Continue uphill on the AT as it passes back over Meadow Mountain, before descending and arriving back at the parking area at Reeds Gap in 1.6 miles. 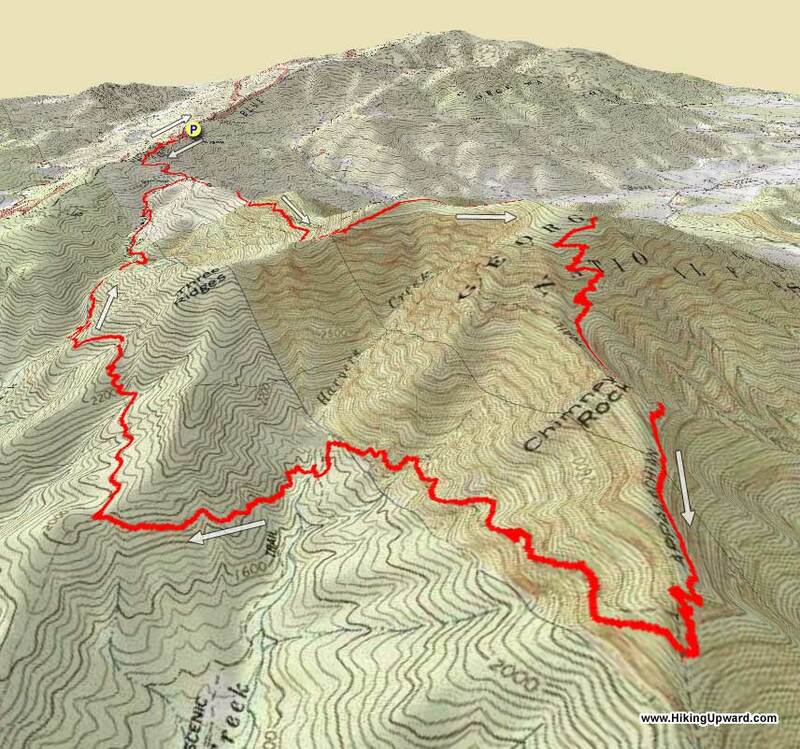 Completed this hike counterclockwise (Mau-Har to AT) overnight. 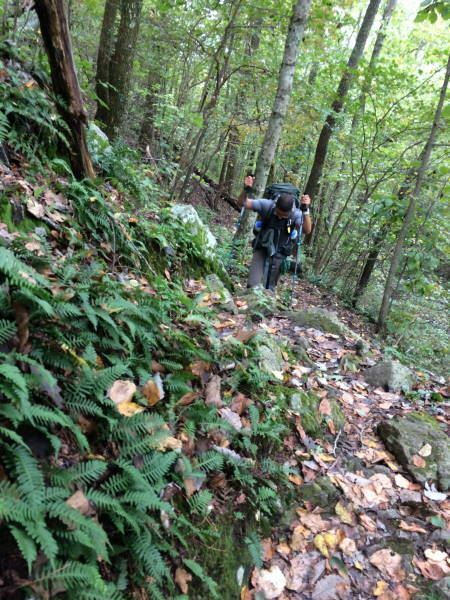 Typically this hike is well trafficked, but I didn't see a soul until the second day mid-way through the AT portion. 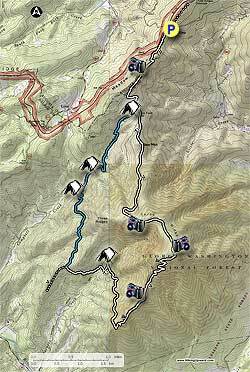 While I greatly enjoyed it, I wouldn't recommend the Mau-Har trail right now. Especially not for beginners or those with limited navigational skills. There was easily 2-4 inches of snow on the trail which made it very difficult to navigate and stay on course. 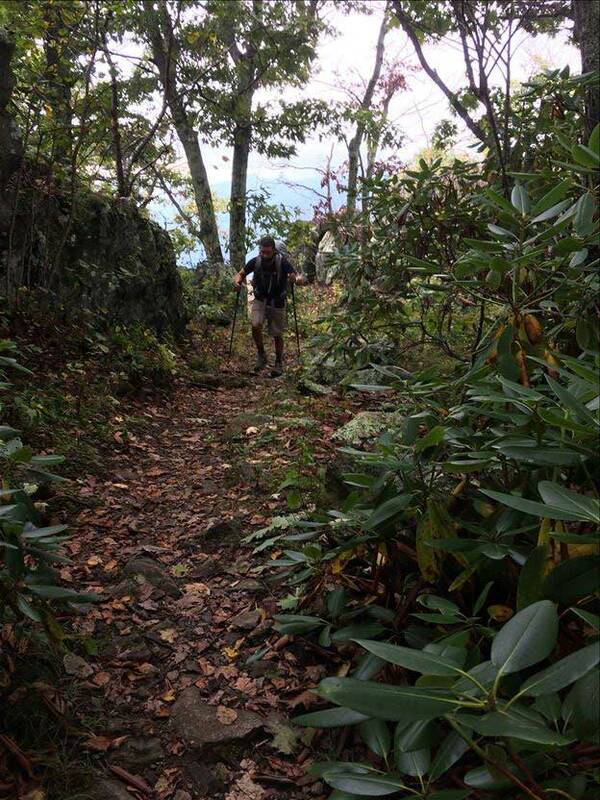 At times the numerous blowdowns meant you had to detour a steep 10-20 yards down/up the mountain and then back up to get back to the trail. 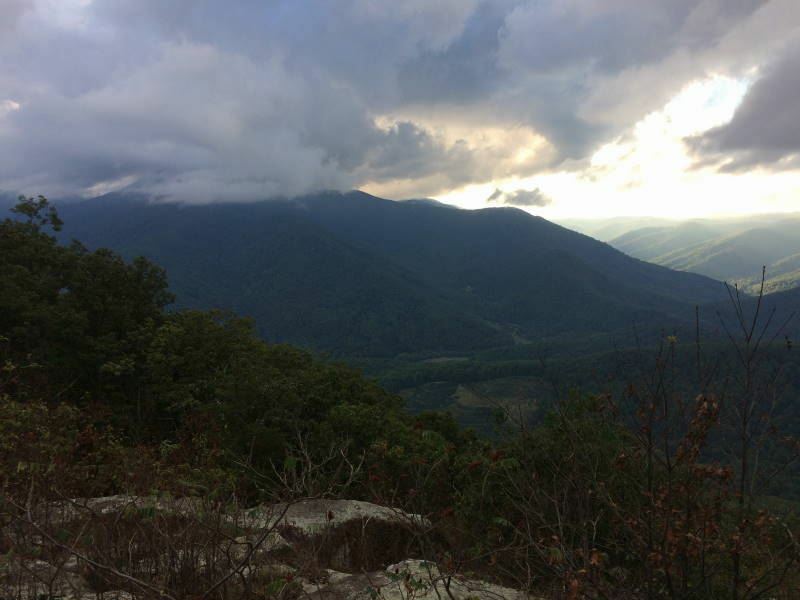 The AT portion was much better maintained (still had a few blowdowns covering the trail) and the views were spectacular with the snowcapped mountains in the distance. As others have pointed out, there is very little of this trail that is flat and you are almost always either going up or downhill. 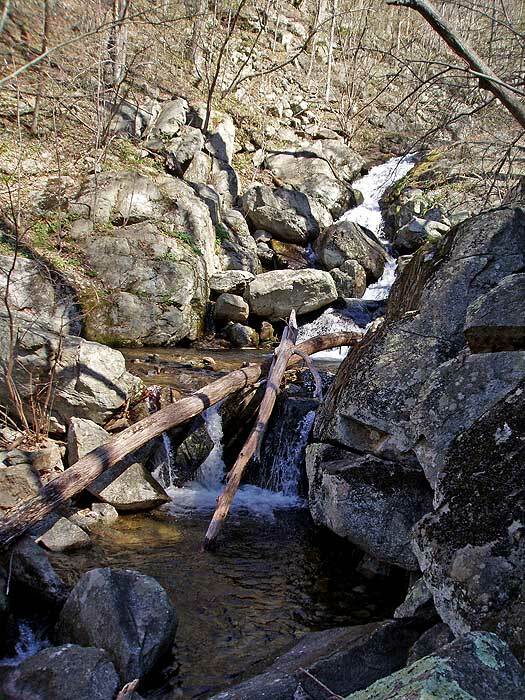 Plenty of water access on the Mau-Har Trail, but virtually none on the AT side so bring enough to get you through that portion without resupply. 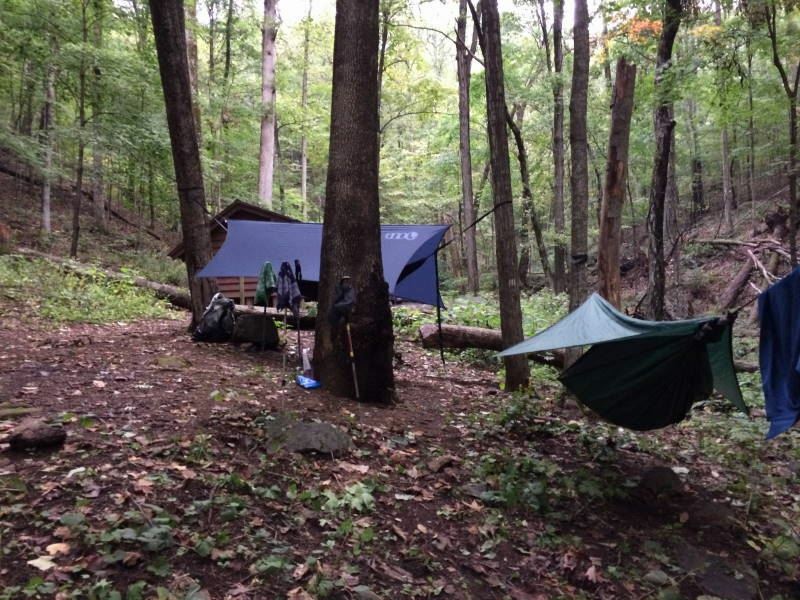 I camped overnight at the Harpers Creek shelter which was well maintained and only about 20 yards from the creek. 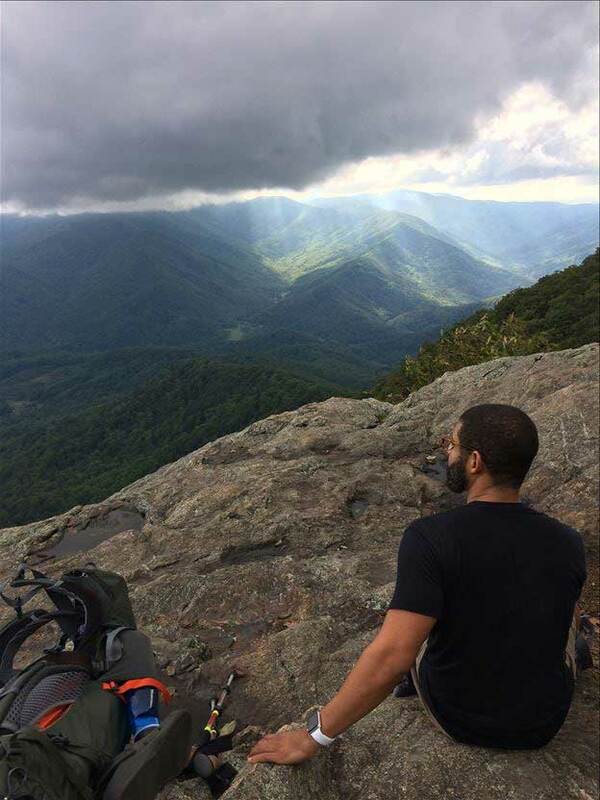 Overall this hike has some of the best mountain views on the east coast and I would highly recommend it for anyone fit enough to complete it. 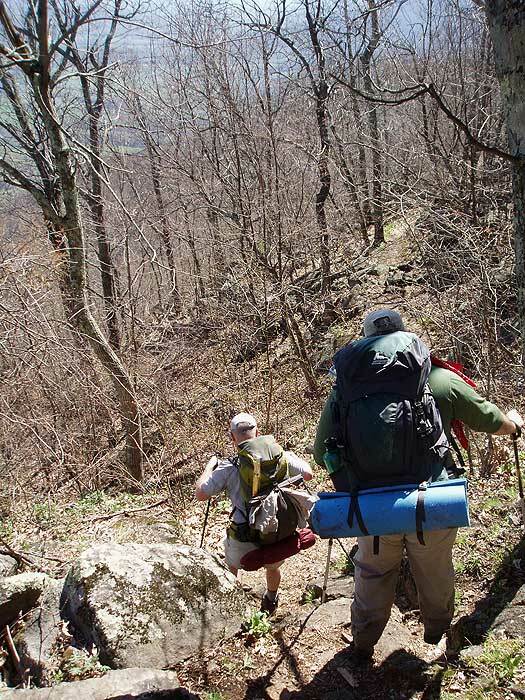 As always, give the Ranger Station a call before going to get a read on the trail conditions. I must say, every time this hike impresses me more. This is the third time doing the loop, but the first in the fall colors! And wow, have I been missing out!! 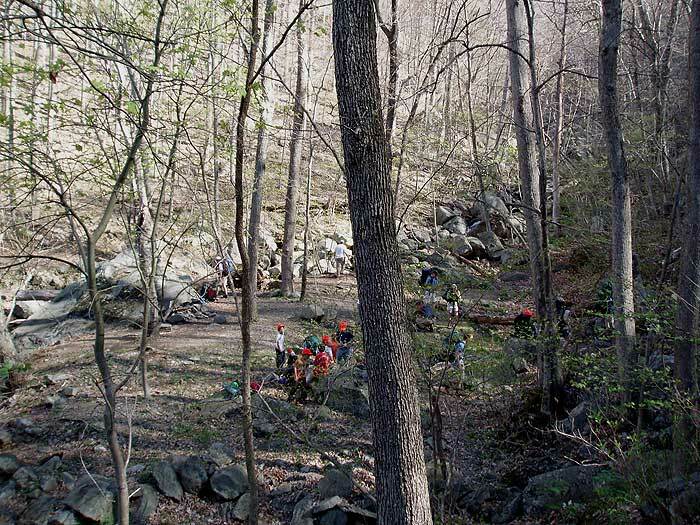 The only thing of note for future hikers is the amount of people on trail. In the past, having done it in the dead of summer and mid-spring, I was able to get a comfortable spot at the main camp site on the Mau Hau trail. This time though, arriving to the site at 5pm, all main area's were taken and we had a group of 4 tents! 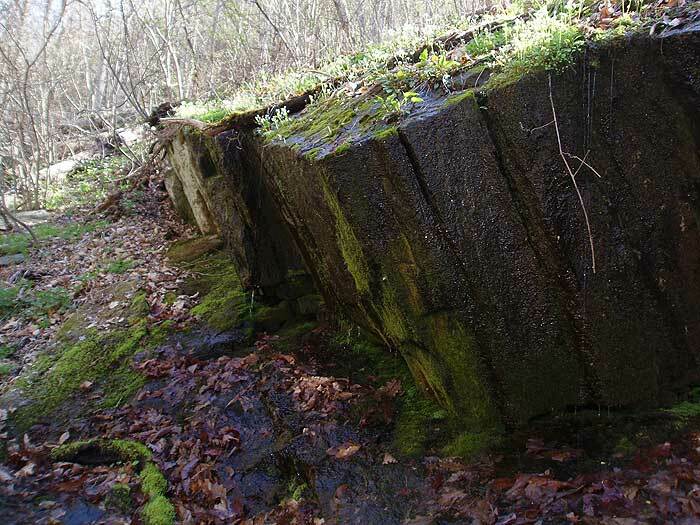 Luckily, for those not aware, you can cross the creek and make do with some decent spots along an old, unused trail. There is a fire set up and you'll have the creek in between you and the other campers to drown out the noise. 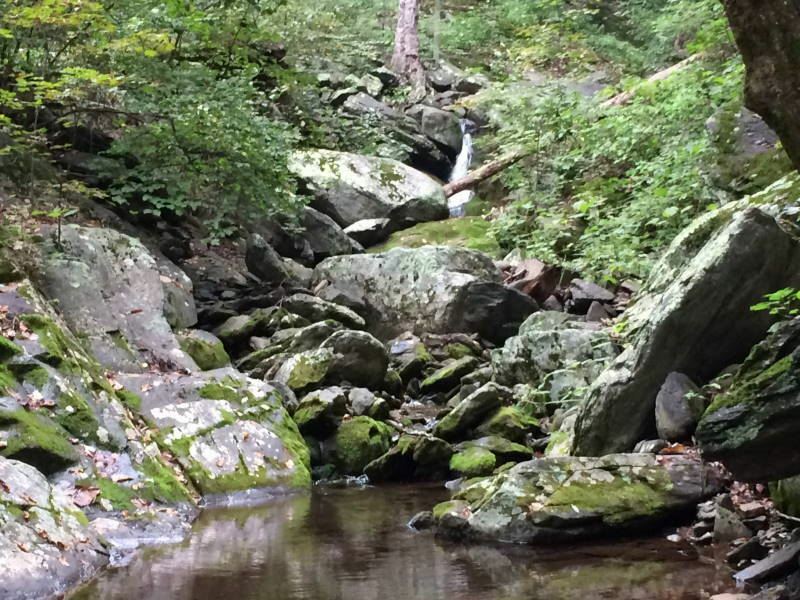 The fall colors were amazing, the weather perfect, and really, just a great hiking experience. 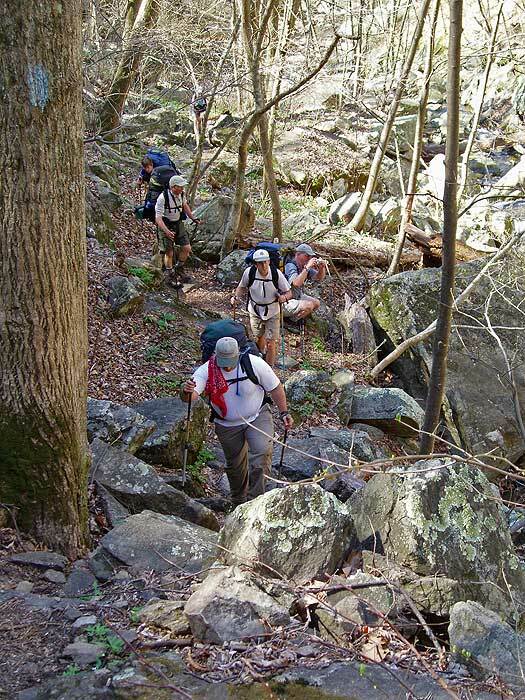 In our group were two newbies who'd never backpacked before so this is a solid experience for those to introduce them to overnight hiking. Devils backbone brewery afterwards rounded out a solid weekend! 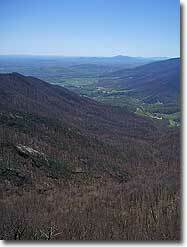 Hiked this at the beginning of the fall, the colors weren't totally changed, but it was still beautiful. 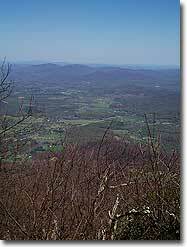 I would recommend taking in the views when you can because it is a strenuous trip otherwise. I hiked to the Maupin Field Shelter the first day, it was an easy stroll and I arrived with the sun coming down. The next day I ended up finishing the entire hike and leaving at around 3:00 PM. 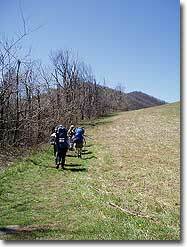 I don't recommend this unless you are an experienced hiker with endurance especially with hills. The views make up for the hard hills, and it isn't an overly tiring set of elevation. 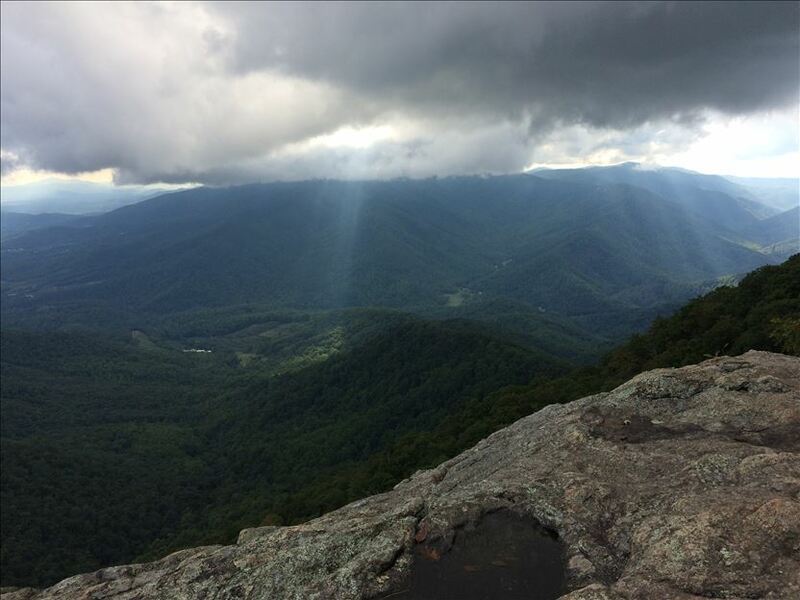 Would certainly recommend for a two day hike. 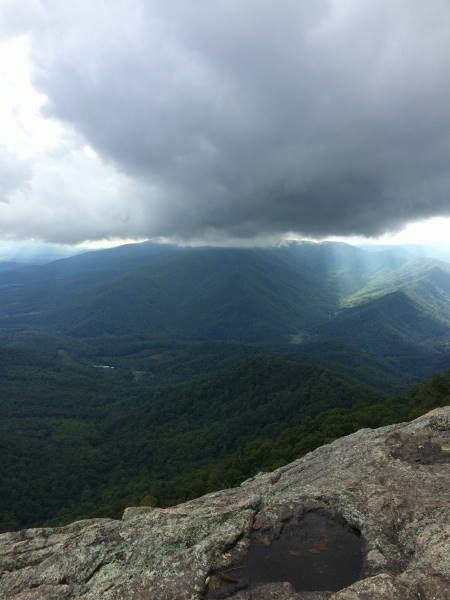 My sister and I did this hike as an overnight. 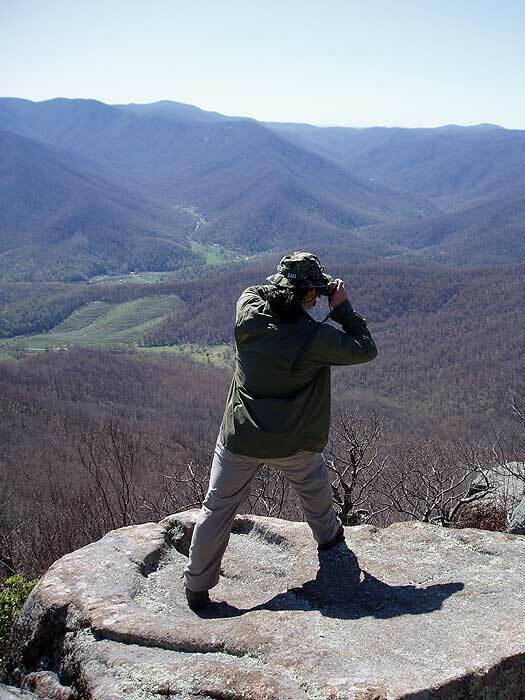 We hiked from Reids Gap, camped at Harpers Creek and returned via Mau Har Trail. 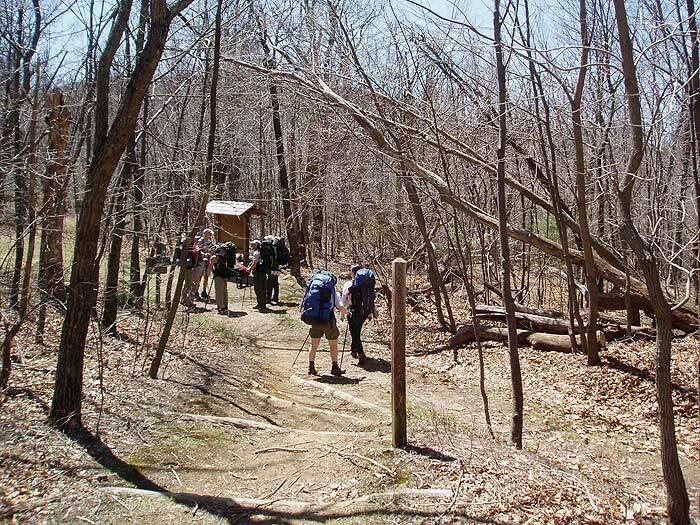 We started on the trail about 11am and got to Harpers Creek Shelter around 6:45pm. Obviously we took several breaks and arent the speediest of hikers, it was also over 90 degrees. 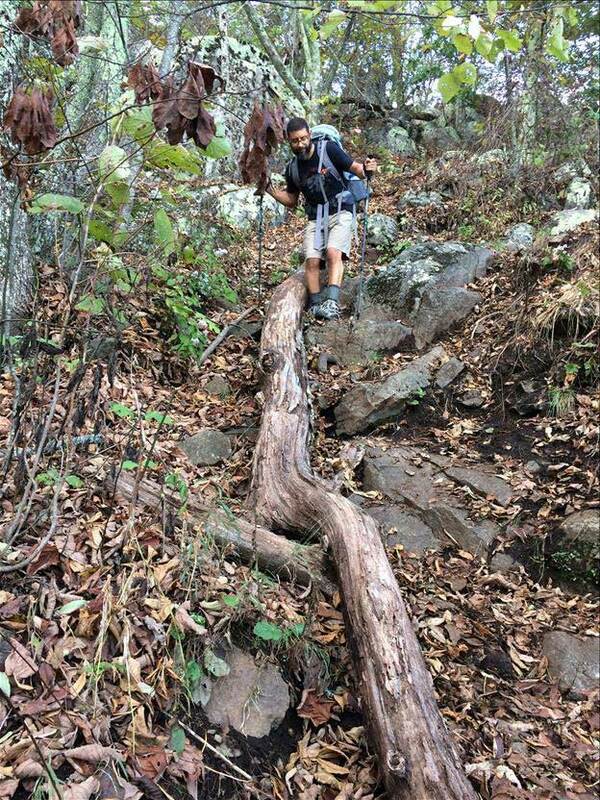 This was my first time hiking a "5" rated difficult trail and it proved to be pretty hard but rewarding. 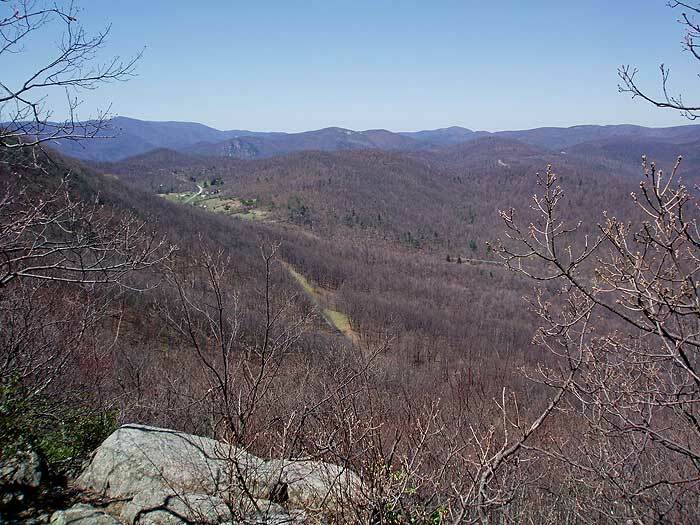 Most of the inclines are very steep- with that being said, I couldn't imagine hiking up to the overlook from Harpers Creek, but thats just me :) It was hotter than normal on the first day, about 90, and required more water and breaks than normal. 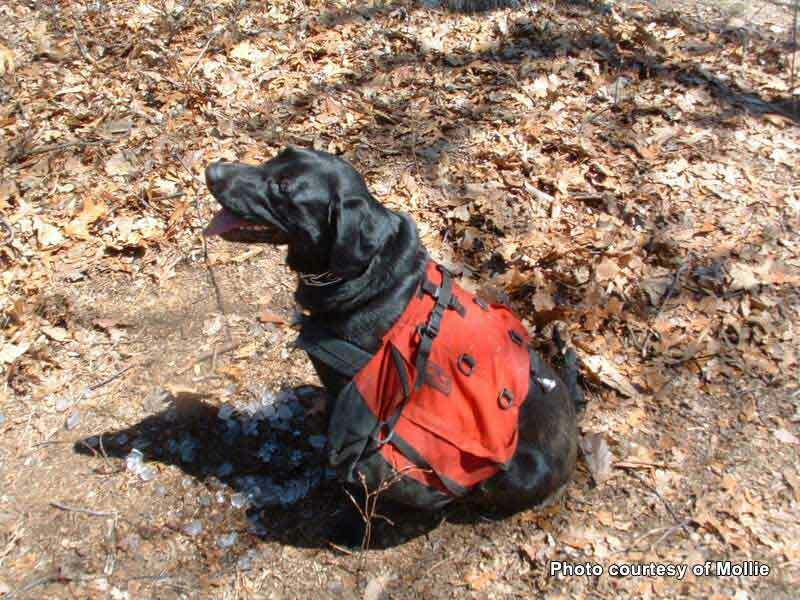 Our packs were pretty heavy because we hauled in our own water. 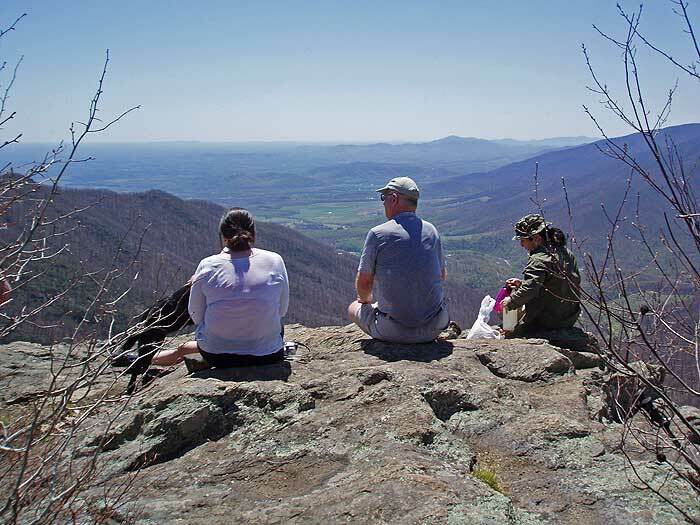 We weren't expected the steep .8 incline at the beginning of the trail but making it to the overlook after a few more inclines was a perfect place for a snack and time to relax. I ultimately needed some shade though since it was so hot. 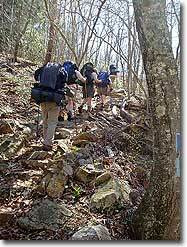 Hiking down to Harpers Creek was a steep steady downhill with lots of rocks- my calves will be sore for days. 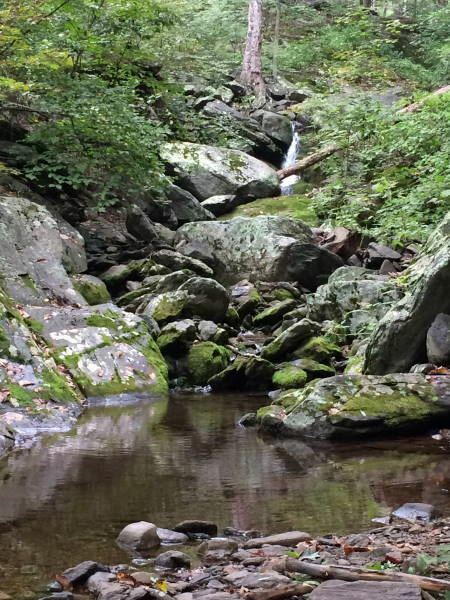 Arriving at Harpers Creek was blissful- flowing creek and plenty of camp sites. The firepits are built well and it was amazing to fall asleep listening to the creek. We took a dip the next morning and set off for the waterfalls at Campbell Creek. This was by far the most rewarding part of the trip in my opinion. 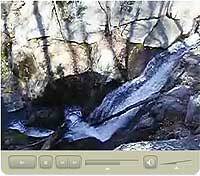 There were a few steep inclines to get to the falls, but a perfect spot to take another dip and eat some lunch. 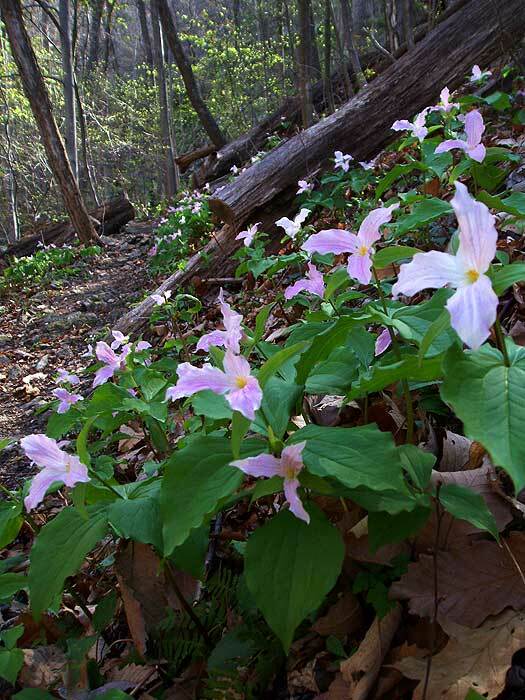 There is an abundance of greenery and shade and more than one spot along the trail for swimming holes. Hiking along Campbell Creek was strenuous but I enjoyed the uphill rock scrambling much better than simply walking uphill. I had to stop multiple times (my sister was getting annoyed) to take pictures and videos of all the waterfalls and wish we had more time to swim. The cold water felt amazing! There were still some strenuous parts after this and a long break at the Maupin shelter was much needed before the last little haul back to Reids Gap. The downhill definitely took a toll on my calves but it was worth it. There were millipedes everywhere and they seemed to want to hang out on the exact spot of a rock or tree that you need to grab a hold of so watch out for accidentally knocking them off :) We saw a baby snake, butterflies, toads, and lots of little critters. Not sure if I'd do the whole thing again in its entirety, but I would definitely visit the waterfalls again.